The Odyssey Media Group is a 60 person media organization at Clarke Central High School in Athens, Georgia comprised of a newsmagazine website, a literary magazine, and a broadcast program. Odyssey Media Group distributes their magazine to 1,500+ students, parents, employees and Athens community members. 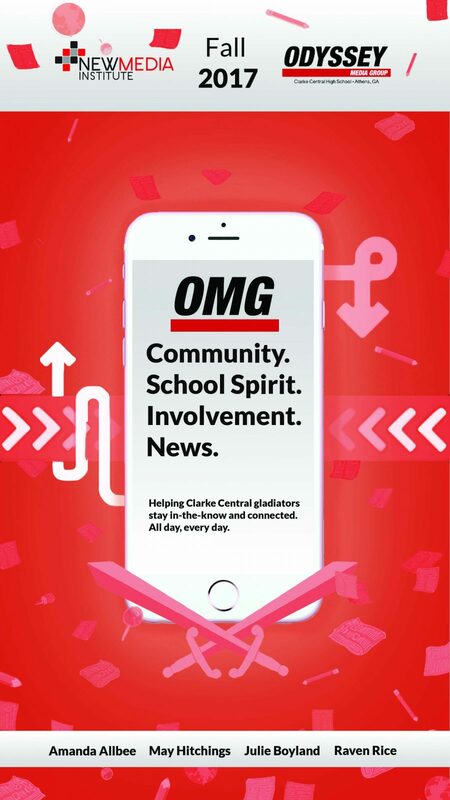 The OMG app is a companion to the Odyssey Media Group website, providing the organization’s publications to users in an easy-to-use format. With features like a homepage with relevant news stories, a livestream of Odyssey broadcasts, and a staff directory with sections for comments and questions; the OMG app has everything needed to keep their viewers up-to-date on the latest news.